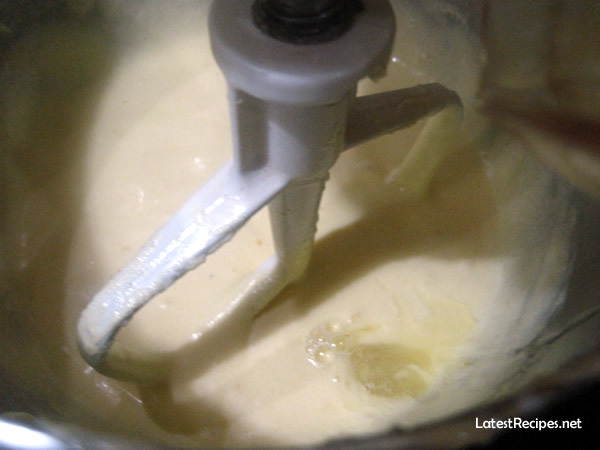 I chose to use Ina Garten’s recipe among so many, I find it the easiest; the process is similar to making cookies or creamed cakes but instead of adding flour towards the end, you transfer the mixture in a saucepan to cook. I used a fine grater to get the zest of the lemons, if you have a microplane, that’s gonna make it easier. 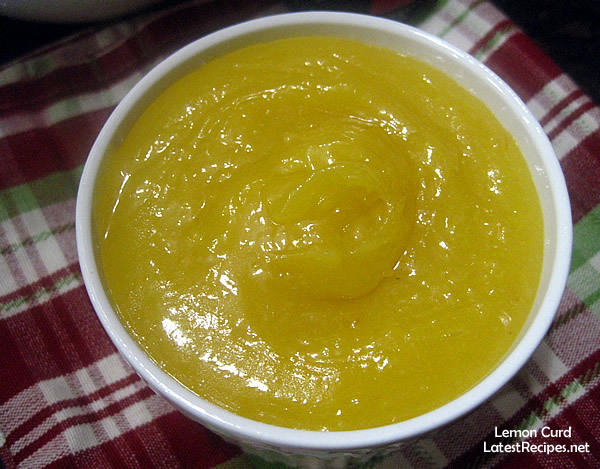 It took only 2 1/2 lemons for me to get the 1/2 cup lemon juice that the recipe asks for, rolling them firmly on the counter really helps to get as much juice from the lemons. 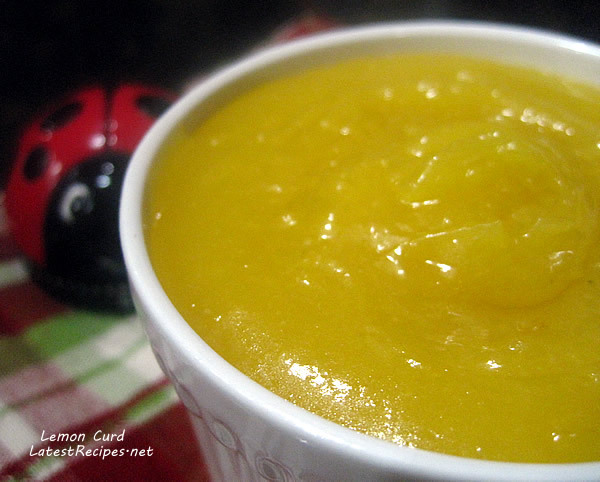 🙂 I added a little more sugar because I find it too tart, my family will likely to eat it if it’s more on the sweet side. 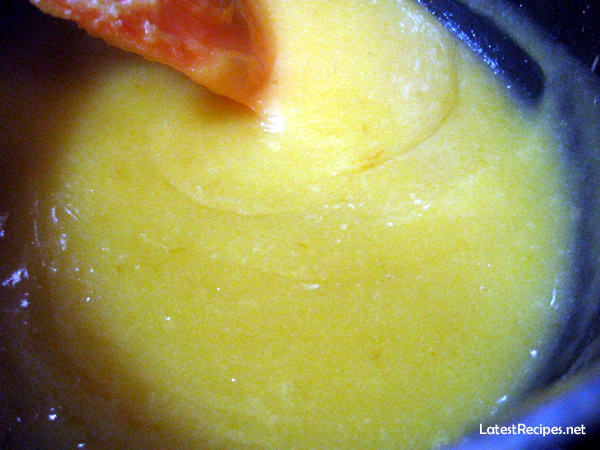 pour in the lemon juice..
then transfer the mixture in a saucepan and..
Sweet and tangy lemon curd is perfect filling for doughnuts and rich cakes. It goes well for scones and biscuits, too! 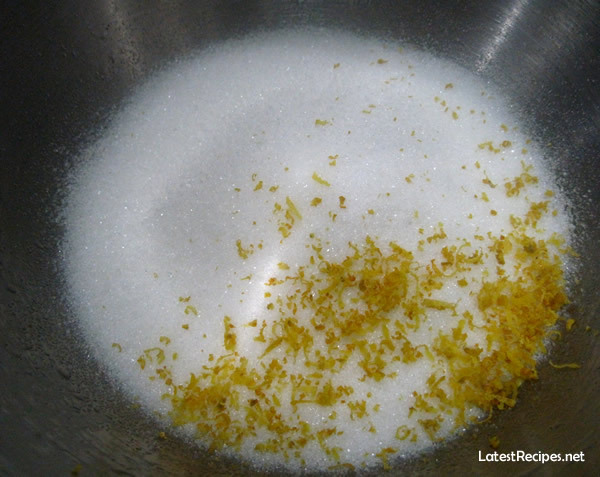 Remove the zest of 3 lemons, using a fine grater or microplane, add to the sugar and mix well. 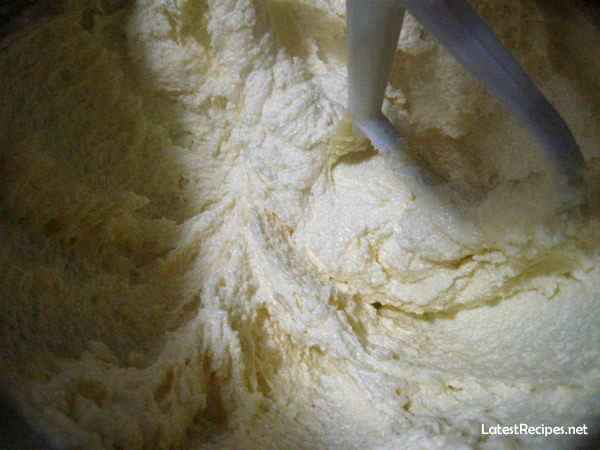 Cream butter and lemon-sugar in the mixer until light and fluffy. 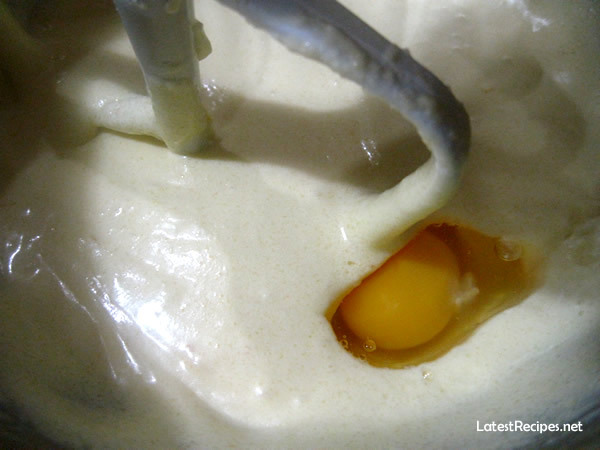 Add the eggs, 1 at a time, and then add the lemon juice and salt. Mix until combined. 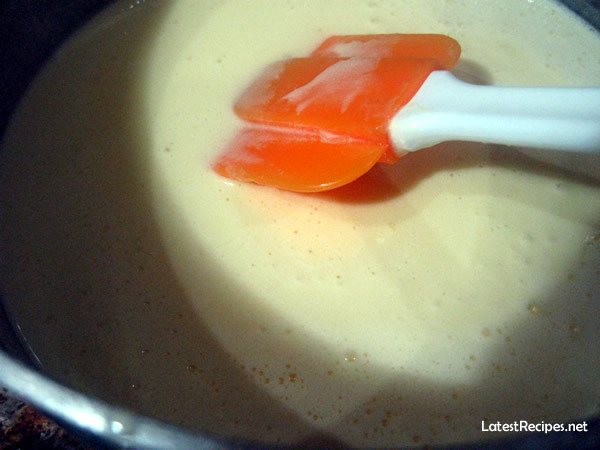 Tranfer the mixture into a 2 quart saucepan and cook over low heat until thickened (about 10 minutes), stirring constantly. Remove from the heat; cool then transfer to jars/containers with cover.